With this post I’ve added a new category to the blog: StepFamily. With my recent marriage, I’ve entered the world of step-parenting. Although my journey has barely begun, I’ve found it to be a wonderful yet scary place to live. Wonderful and scary may sound like some strange terms to use to describe my new family so let me try to explain. It is wonderful yet scary building the new relationships within our family. Not only are Laura and I trying to build a healthy marriage relationship, we are also trying to build a healthy relationship with each other’s children and trying to help the children build a healthy relationship with each other. Now throw the in-laws into the mix. Even a cursory understanding of family dynamics would suggest that the process is full of landmines. For me, that is the scary part of the process. While I’d like to avoid all the landmines, it is simply impossible. The next best thing is to learn how to diffuse the landmines together. Sound complicated? It is. I’m not alone in this complicated business of building a stepfamily. What was once an event largely occurring when older adults remarried has become a common event at all ages. Currently, about 100 million Americans have a “step relationship” and the number is steadily growing as statisticians report that one-third of all marriages are creating a blended family. It is now predicted that one-half of our population will be in a step-relationship during his or her lifetime. That’s a lot! Each blended marriage creates a fairly unique makeup with equally unique dynamics. Although my remarriage has come about because of widowerhood, there are a myriad of different combinations that might come together to create a blended family. Never married, divorced, widowed, some with children, some without, others with adopted children. The combinations are mind-boggling. One mathematician reports 67 different stepfamily combinations. Stepfamilies are complicated! Unfortunately, the complicated nature of the blended family takes a big toll on the marriage. 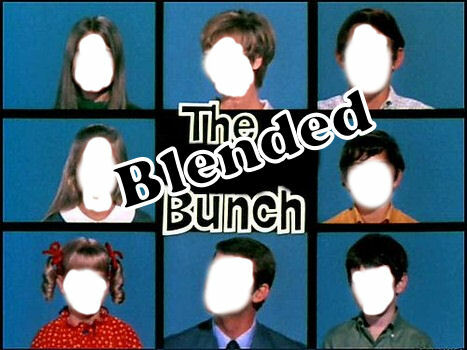 The result is that two out of every three blended family relationships ends in divorce. The devastation on the individuals—especially the children—from these broken blended-marriages is profound and incalculable. This is probably the place for me to point out the importance of saving and/or restoring first marriages. Although remarriage and stepfamilies are a reality in our society today, remarriage does not always bring about marital happiness. The U. S. Bureau of the Census (2006) reports that 60% of second marriages and 73% of third marriages end in divorce. Clearly the majority of people are not happier in remarriage and the majority of people are NOT learning to avoid relationship mistakes that ended their first marriage. While I am writing about making blended families successful and recognize that many marriages are not salvageable due to infidelity or abandonment, I can not emphasize enough the importance of making first marriages work. How does one avoid being on the wrong side of the statistics? Let me share a few basic ideas that I’ve learn in my preparation of being a blended family. 1) Education. Learn about the dynamics of stepfamilies. Read a lot. 2) Communication. Learn to communicate well with your spouse. 4) Have realistic expectations and a long-term outlook. Functioning as a family does not happen overnight. It may take 5 to 7 years. I’m excited about my journey even though it is complicated. The hope I have for my family is that we will model healthy, successful relationships. Relationships that will offer hope and an optimistic view of marriage for our children as well as for those around us.